NewsPix is a simple news-engagement application that helps users encounter breaking news in the form of high-impact photos. It is currently a Chrome browser extension (mobile app to come) that is customizable for small and large news organizations. Currently, when users open a new, blank page in Chrome, they get a new tab with tiles that show recently visited pages. 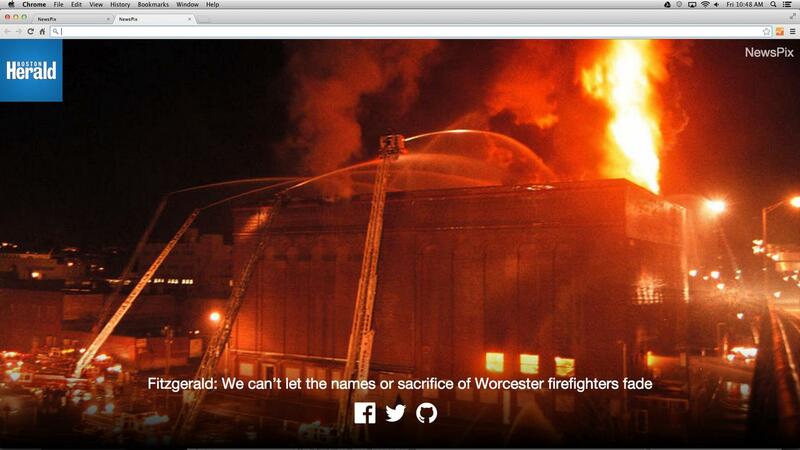 NewsPix replaces that view with a high-quality picture from a news site. Users interested in more information about the photo can click through to the news site. News organizations can upload photos ranging from breaking news to historic sporting events, with photos changing every time a new tab is clicked.